serpent-mode is a GNU Emacs major mode for editing and compiling Serpent code. 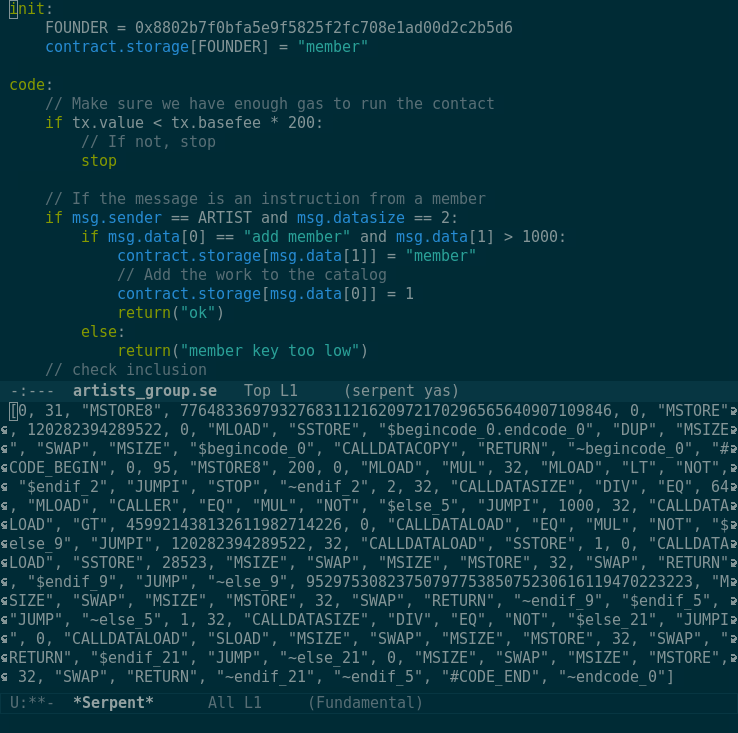 Serpent is a Python-inspired language for writing smart contracts that compile to Ethereum Virtual Machine bytecode. It adds syntax highlighting and indentation for Serpent code, and allows files to be compiled from within Emacs. Some of the indentation code has been borrowed from Emacs’ built-in Python mode but any deficiencies are a result of my simplifying it to work with Serpent. Reports of errors and omissions gratefully received.